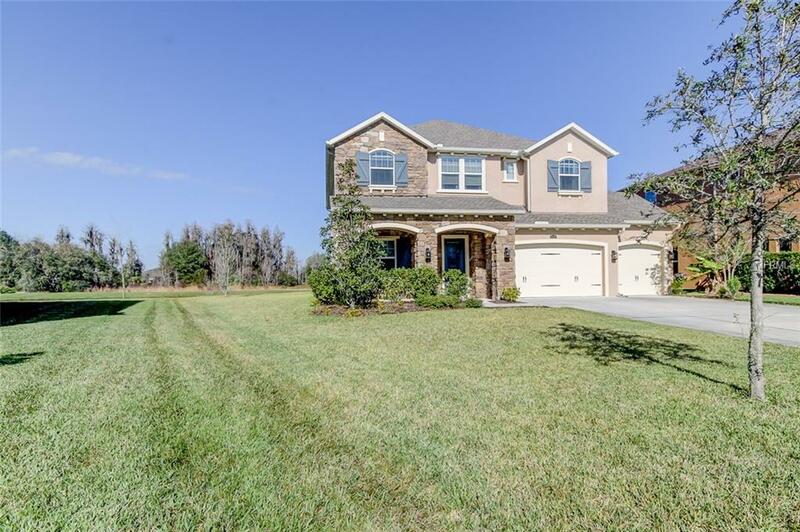 Located in exclusive Estancia at Wiregrass in sought after Wesley Chapel!!! 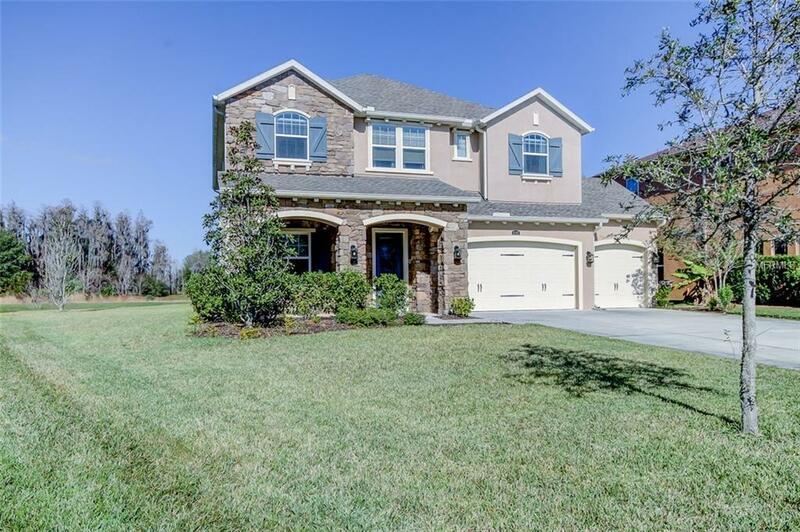 Dont miss out on this 2015 built well-maintained 5 bedroom/4 bath 3644 sq/ft home situated on a cul-de-sac with the privacy of no backyard neighbors and a pond view. 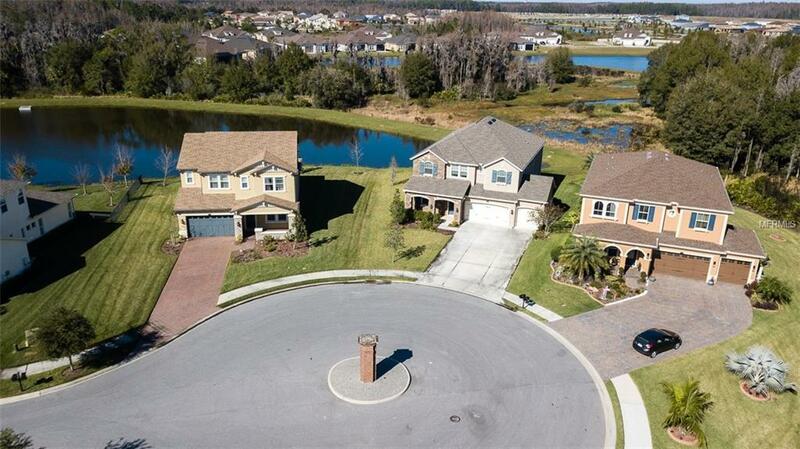 This spacious home features upgrades your family will definitely enjoy! The gourmet kitchen features granite counters, stainless steel appliances, a HUGE island, walk-in pantry, beautiful upgraded cabinets, custom backsplash, PLUS tons of storage and counter space. Your family will love the fact that the kitchen opens to the family room and dining area. This home also has an office, formal dining room, LARGE bonus room, as well as dedicated homework/office space at the top of the stairs. Also note that this home has beautiful wood-look ceramic tile in the master bedroom and most of downstairs. The guest bedroom and bath are also downstairs, making it easy for your visiting loved ones to enjoy their stay. The master and three additional bedrooms are upstairs. The master suite is separate from the other bedrooms and includes a spacious sitting area, amazing master bath, as well as two closets. Make sure to enjoy the relaxing pond view on the covered and screened lanai after a long days work. 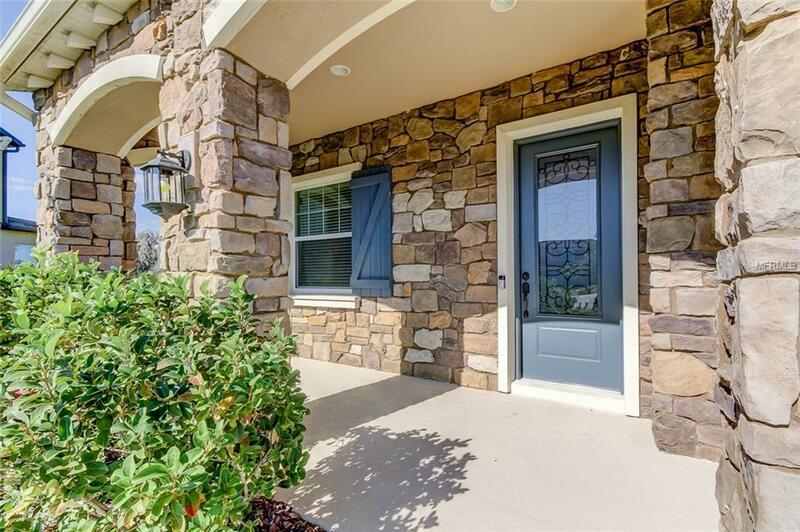 Estancia truly resort-style living and is zoned for A rated schools and has easy access to I-75, I-275, Florida Hospital, PHCC, Wiregrass Mall, and the Tampa Premium Outlets. Sellers are also offering a one-year home warranty. This is a MUST-SEE PROPERTY! Additional Lease Restrictions Contact Hoa For Lease Restrictions.